Want a fun way to stretch imagination and encourage creativity? Oh, and you don't want to spend any money or have to leave the house? Done! 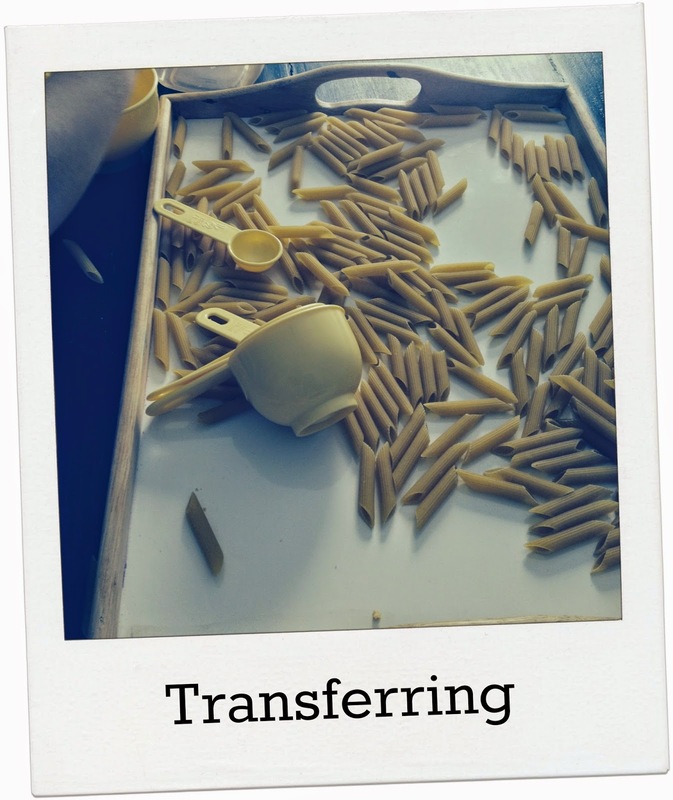 1) Transferring - this is a Montessori early-learning activity that my kids love! 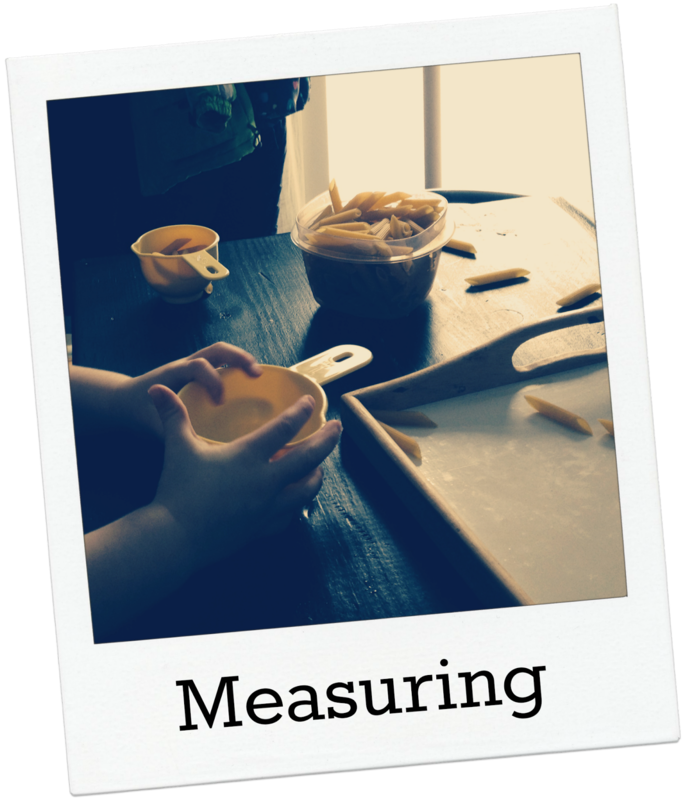 Grab measuring cups, tupperware & spoons in a variety of sizes and let the kids transfer from one container to the next. 2) Measuring - we very naturally transitioned into measuring & counting, using the same items from our time with transferring. I gave the kids simple instructions like, "Add 1 cup of pasta to the big bowl" and "Put 7 pieces of penne in this cup." 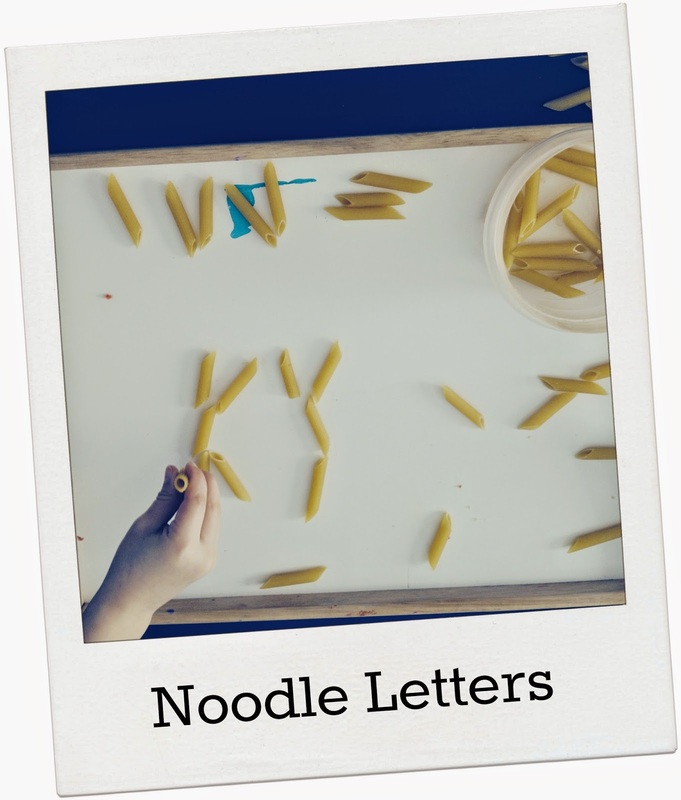 3) Noodle Letters & Spelling - Ask the kid to create letters and write their names, using only the pasta. If your kids are ready for it, elaborate with spelling and phonics practice. 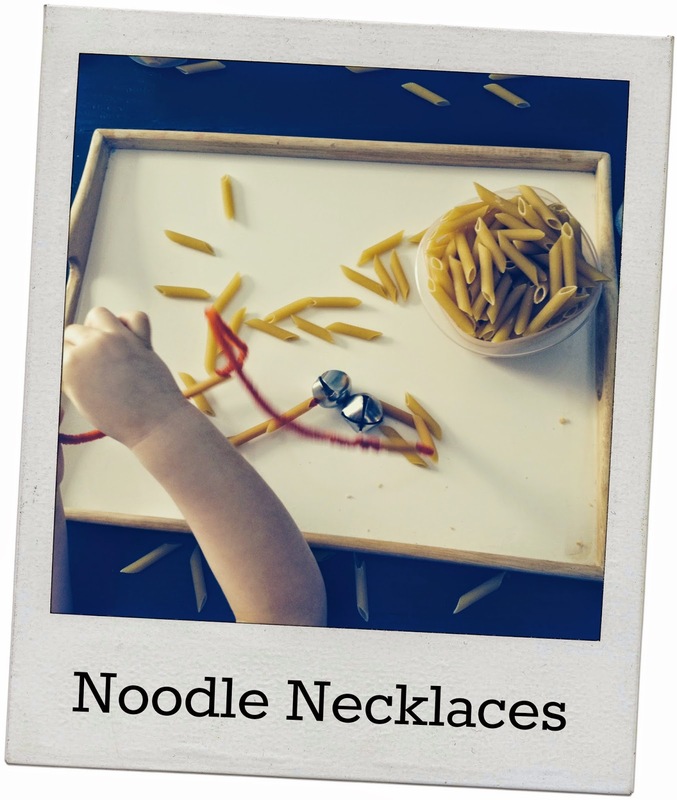 4) Noodle Necklaces - This activity is great for developing fine motor skills! My kids love beading necklaces, so we grabbed a couple pipe cleaners and found a few spare bells for them to use in their custom necklace creations. 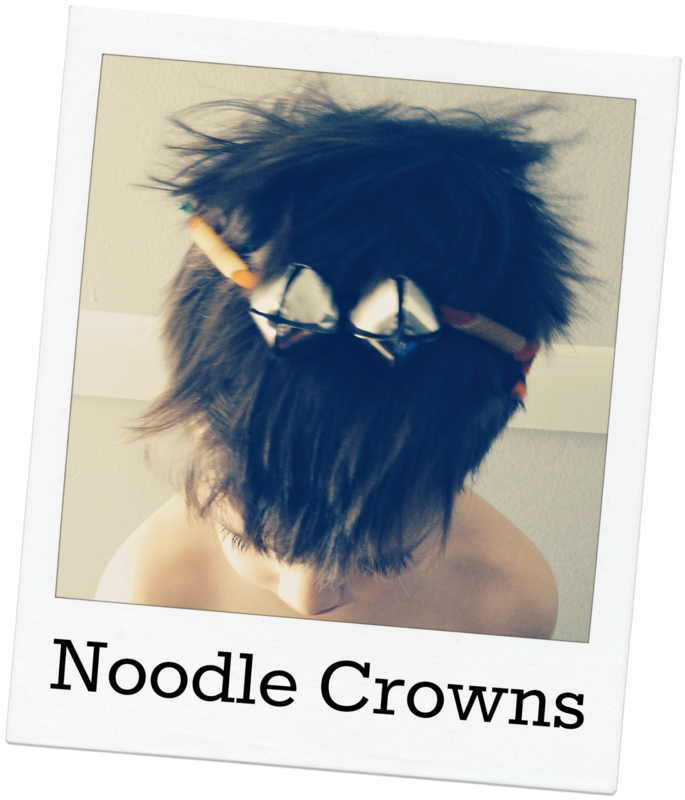 5) Noodle Crowns - My son wasn't happy with his noodle necklace, but lit up when he realized he could turn it into a crown, grab his sword and pretend to be a king. Add a few more noodles & pipe cleaners bent like triangles, and you can create a wonderful tiara as well! 6) Noodle People - Once we had the pipe cleaners out, the kids started to notice how they could manipulate the noodles & pipe cleaners to create various shapes and animals. 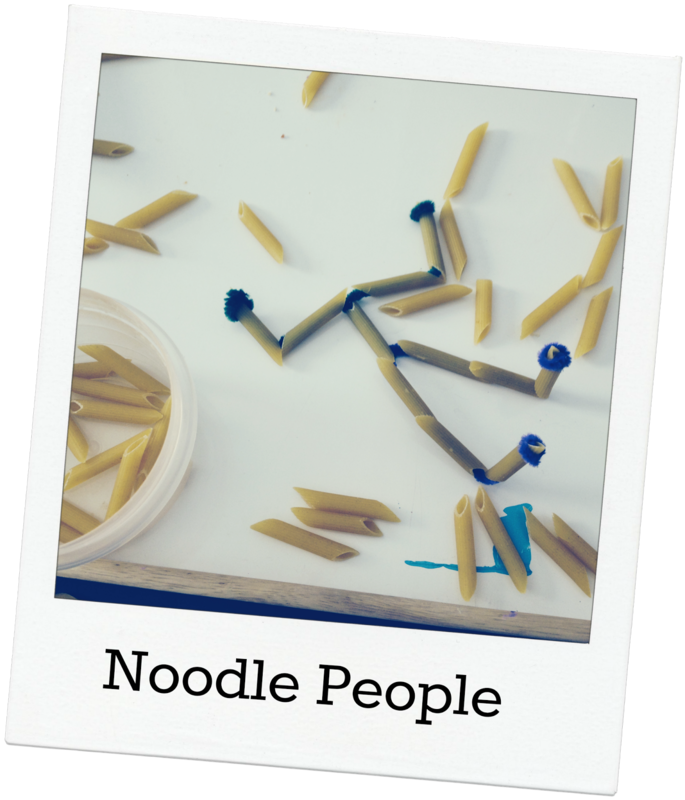 Their favorite creations were little noodle people. 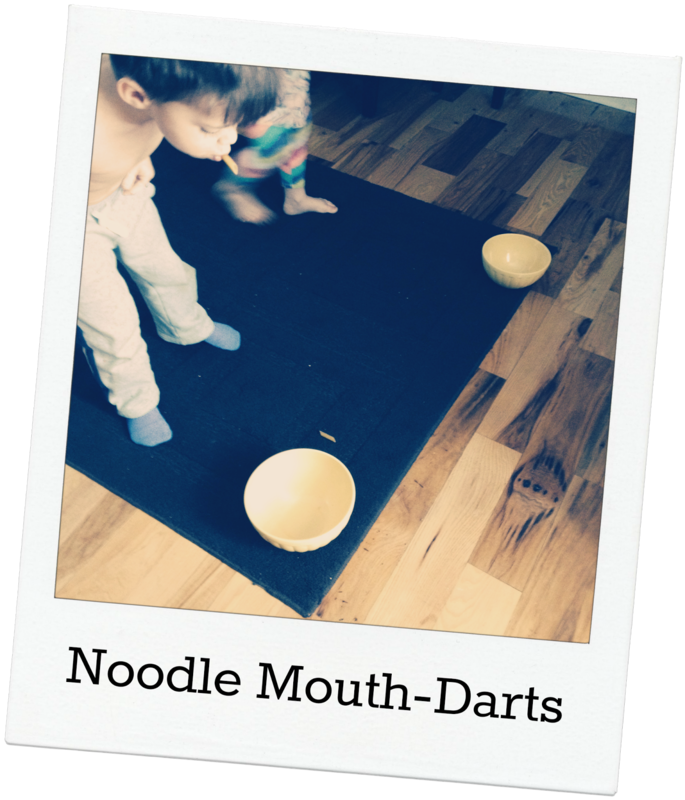 7) Noodle Mouth-darts - Eventually, the kids couldn't resist finding ways to put the penne in their mouths. Their first idea was to use them as darts, blowing them at one another. I added the element of a bowl, which then turned it into a competition to see who could shoot the most pasta pieces into their bowl. 8) Noodle Marching Band - We marched all around the house using our penne as various instruments, mostly horns. 9) Look & Find - My kids are obsessed with look & finds and treasure hunts, so our last game was for one person to hide a set number of noodles around the house and then the other two had to go look for them. We did several rounds of this! 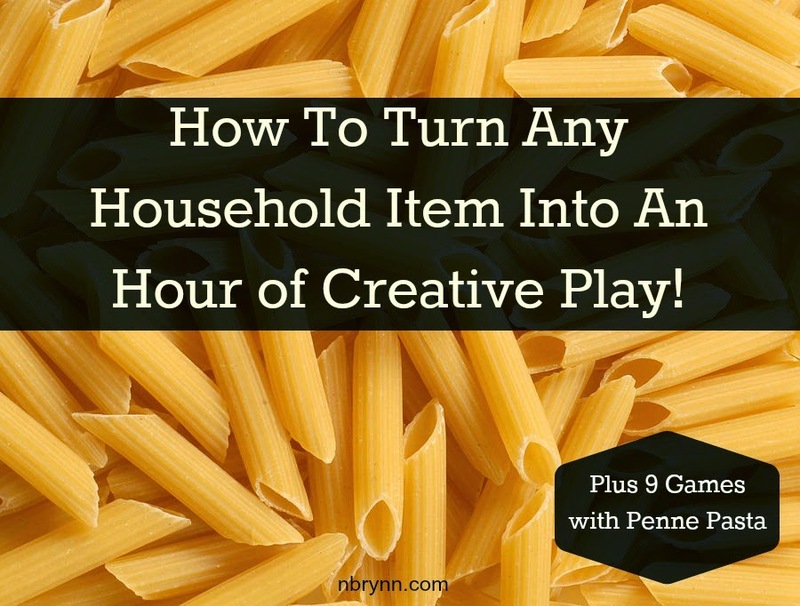 Have a fun way your family stays creative together? Fun! Perfect Winter activity, too :) I'm going to do this with Maya later!